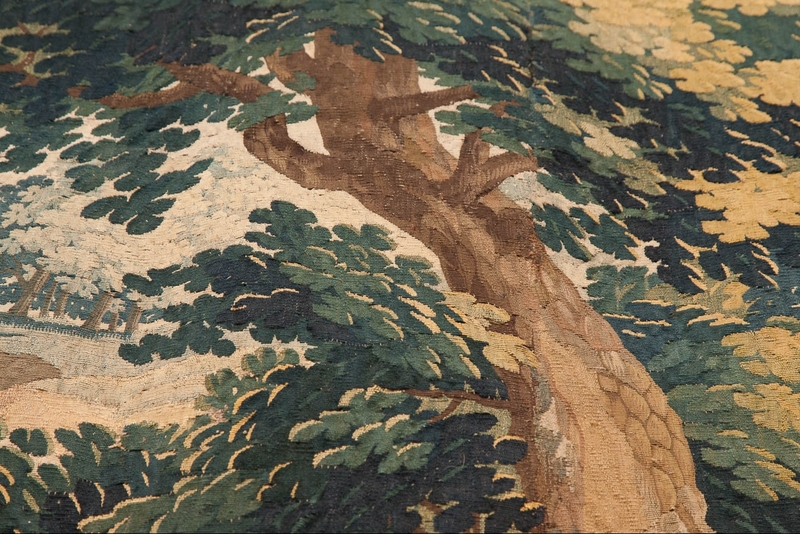 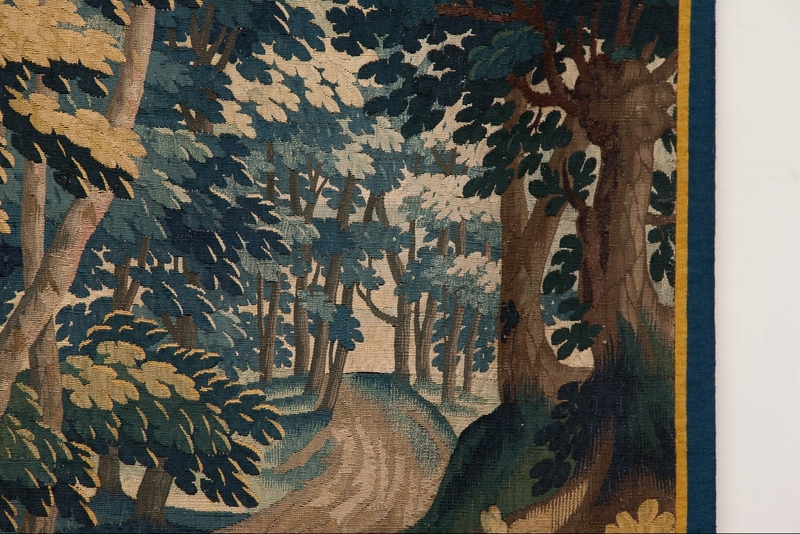 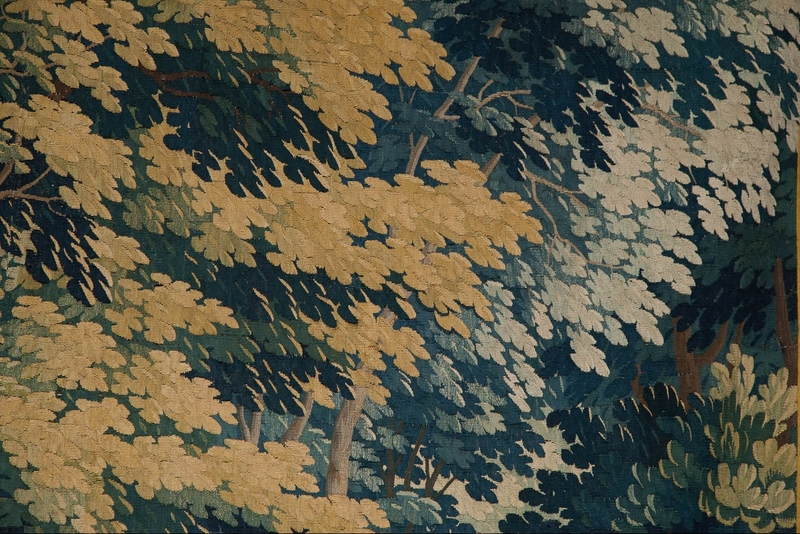 18Th century Aubusson verdure tapestry. 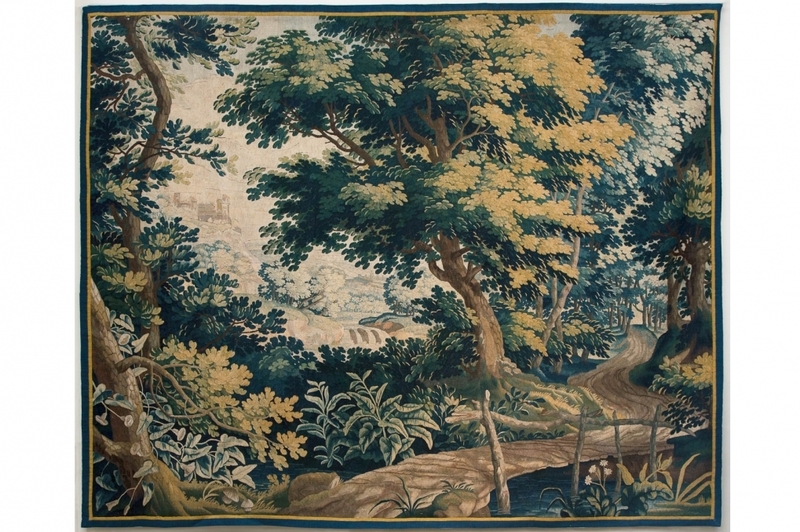 Landscape shaped fine quality wool and silk verdure with luxurious trees and plants, a path winds through the trees from the top right hand side, with a rustic bridge in the foreground. 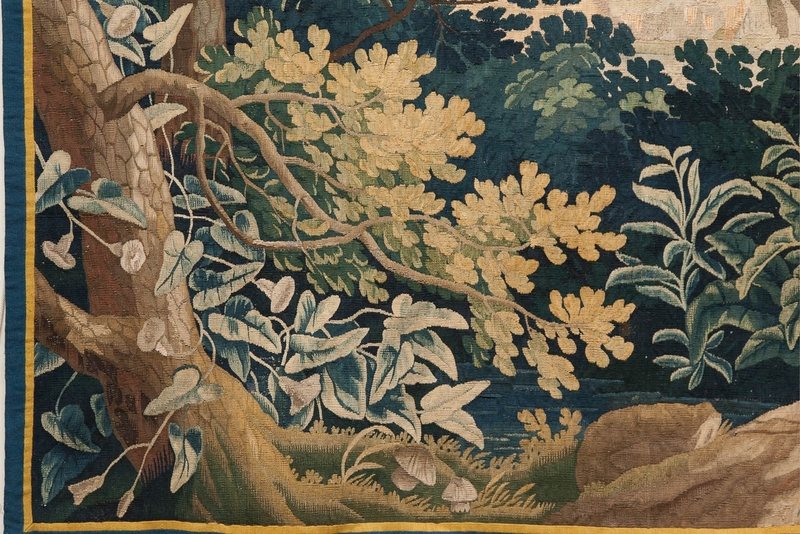 In the top left hand corner a castle can be seen on a rocky out crop. 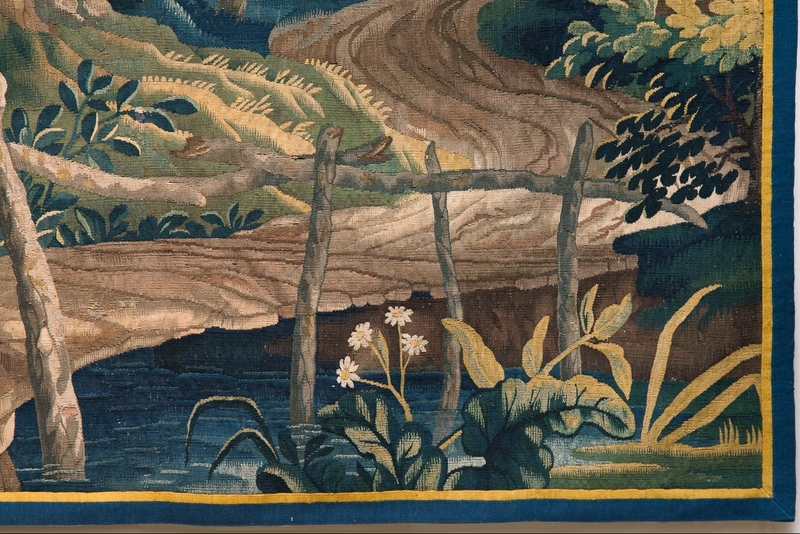 The tapestry is backed with linen and in good condition, the blue and yellow border is a later replacement.